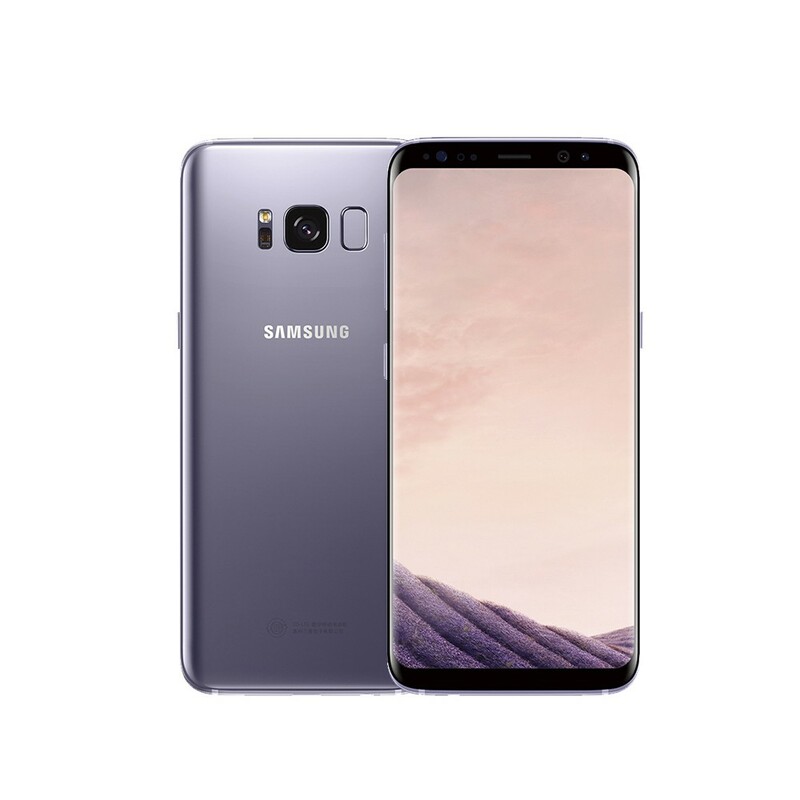 Original Samsung Galaxy S8 (5.8-inch) S8 Plus(6.2-inch) , 12.0MP 4G RAM 64G ROM 4G LTE Octa core Smartphone Fingerprint. Samsung Galaxy S8/S8 Plus comes with a 5.8”/6.2" panel! new screen has an aspect ratio of 9:18.5. Up until now, phone screens came in the more widespread 9:16 ratio. The Galaxy S8/S8+ 9:18.5 ratio means its screen is taller than usual. Not necessarily much wider, but considerably taller. Resolution of 1440 x 2960 pixels, resulting in 529 ppi (pixels per inch) – incredible pixel density that makes even tiny fonts appear fine. Other than that, this is an AMOLED display not much different from those of previous top Samsung phones: it gets plenty bright when outdoors, as well as very dim when viewed in the dark, which is all great. * Original Refurbished phone with Original accessories. * there' s a B mark on the bottom of the phone. * IP68 Waterproof Iris recognition, Face recognition, Fingerprint. * Glass Body, Gorilla Glass 5 front and back, Polished aluminum frame. * S8: Arc 5.8" ; S8 Plus: 6.2" Super AMOLED, 2960x1440px resolution, 18.5:9 (2.06:1) aspect ratio, 529ppi. * Rear camera: 12MP, f/1.7 aperture, dual pixel phase detection autofocus, OIS; face/smile detection, Multi-Frame Image Processing; 2160p/30fps video recording. * Front camera: 8MP, f/1.7 aperture, autofocus; 1440p/30fps video recording. * Snapdragon 835, 4GB of RAM ; 64GB storage; microSD slot for cards up to 256GB, UFS cards support. * Dual SIMs ( Nano-SIM ) 3,000mAh(S8) / 3500mAh(S8+) Non-removable Battery; USB Type-C (v3.1); Wi-Fi a/b/g/n/ac MU-MIMO; GPS, Beidou, Galileo; NFC; BT 5.0, 3.5mm jack. Front camera 8MP, f/1.7 aperture, autofocus; 1440p/30fps video recording. So, like many of yall I was a little skeptical about buying a phone online. I've never done it before, however.. I have had it since Monday and it came in perfect condition, there was no scratches, no dings and the software runs perfectly. Lol, honestly, everything about this phone is so good, the camera quality is great, the battery lasts me ALL day and I constantly scroll through apps. The screen is big and bright so you can see everything you are reading and I love how thin and easy to hold the phone is. I 100% recommend this phone to anyone!! This phone is the best! Love how it looks, how it works, and it's not heavy or big at all. Awesome phone! It's beautiful, technically advanced. I'v always had Galaxy S+ phones and this is the best. So far, so good. Opened the box, put it the sim card from my old phone and was up and running in minutes. Nice phone. Beautiful display. This phone has been amazing so far, no issues and the battery last for quite awhile, anywhere from 8 to 12 hours or possibly more based on how often I decide to play games and text on my phone. The camera quality is beautiful and crisp and the option to filter out blue light is defently a plus since I stay on my phone before I go to sleep. As described and arrived quickly. It was exactly as described and works great. Great price for a phone, upgraded from Google Pixel and love the screen on this phone. Best phone I've ever owned. Very awesome phone. I don't think I have nothing else to say. Good design. My daughter she got gift on her birthday she loves her phone . It really is a beautiful phone, and probably in the best family of phones out there. I am happy I ordered this phone. It came on time and the condition is just excellent. I have been using it for a few days now and it works well. Oh yeah! Few things I have emotional response to when pleased, but this phone, I love him! The wrap around edge beautiful. If you want a gorgeous device with a great camera and amazing specs look no further. When I got the S8+ I was a little worried about it being used. To my surprise it was absolutely perfect. I had a couple concerns and after emailing the seller and they went above and beyond to help. I'm completely satisfied with my purchase. Quick delivery. Phone was as expected and no issues with it at all. Samsung makes great phones.